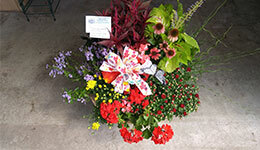 Come in and see our custom made European mixed spring plants basket assortments. We also will plant your own pots or planters to make your home look and smell more festive. Large fall European Basket with hardy fall mums. Harvey’s Florist & Greenhouses Inc., 294 E. Main Street Frostburg, MD was established in 1930 and currently operates out of a renovated blue Victorian-style home on the east side of town. Owner Penny L. Price bought Harvey’s in 1983 and has been making changes to meet customers demands over the years. The business features a large showroom full of goodies. The showroom contains silk and dried bouquets, wall swags and offers custom designed arrangements to meet every customer’s needs. For those looking for special gifts, Harvey’s offers jewelry, dolls, plush, glassware and many unusual gifts not found elsewhere. Mother's Day is right around the corner. Don't forget to order something special for mom. 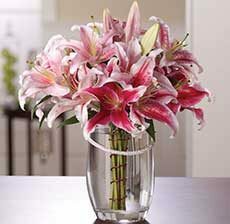 You can select one of our pre-designed arrangements or custom design your own.